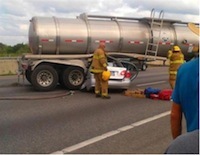 Valencia Truck Accident Personal Injury Attorneys and Wrongful Death Claim Lawyers! Need Assistance of Experienced Personal Injury Lawyers With More Than 40 Years Of Experience In Truck Accident & Car Accident Personal Injury and Wrongful Death Claims! If you are searching for meticulous and experienced attorneys and legal experts in truck accident personal injury claims in Valencia, CA, contact us now for a completely FREE CASE CONSULTATION & EVALUATION. Our personal injury lawyers possess more than 40 years of experience in handling truck accident claims and other types of personal injury accident cases and wrongful death claims not just in Valencia, but also in Santa Clarita, Los Angeles County and all around California. For more information on our experienced truck accident personal injury & wrongful death accident claim lawyers, please visit our home page. To know about our injury attorneys, feel free to check our lawyer profiles and also our personal injury & wrongful death case testimonial pages. 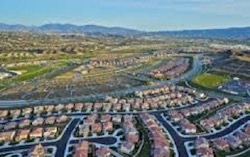 Valencia is an affluent neighborhood of Santa Clarita in Los Angeles County, CA. 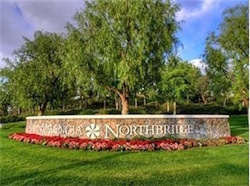 Located in the northwestern corner of the Santa Clarita Valley adjacent to Interstate 5, Valencia is a formerly independently planned community. According to the 2010 U.S. Census, the population of Valencia was 32,605. Noted celebrities born in Valencia include actor Naya Rivera and NFL player Shane Vereen. Taylor Lautner, American actor, model and martial artist, best known for his role of Jacob Black in the Twilight Saga, currently resides in Valencia, California. Valencia is also known for the famous Magic Mountain rollercoaster theme park. Truck accidents are among the most dangerous accidents taking place on the road. Commercial vehicles like large trucks, including tractor-trailers and 18-wheelers, pick-up trucks and more kinds of trucks are many times heavier than regular personal vehicles, such as cars, SUVs and motorcycles, used for daily transportation. The momentum of these commercial vehicles (i.e., weight times speed) on the road is huge, and when these large and heavy trucks hit another vehicle, like a car, SUV or motorcycle, the result is often fatal or very serious injuries for the passengers in the smaller cars and other vehicles. Trucking companies have a diversified, expert and well financed legal team working for them, protecting their business and creating a defense at every step of the way. So, if you were involved in a traumatic truck accident, you may have lawyers or trained adjusters or investigators of these large truck companies contacting you, trying to get you to make a statement that could later prove devastating to your case, or even get you to settle for lowball compensation before all your injuries and damages are even known and determined. Thus, before you give any damaging statements or prejudice your rights, this would be the perfect time for you to get the best truck accident personal injury lawyers backing you up and protecting your rights. Our aggressive yet compassionate truck accident injury lawyers can ensure that you aren’t victimized twice, first in the truck accident and then again by the insurance companies. We will advise you, protect you and fight for you to make sure you get the maximum compensation for your losses. You want to win – so do not wait and prejudice your rights. Act now. You may call us at 818-222-3400 or 1.866 INJURY 2 (after hours dial “1) or click here for your FREE & CONFIDENTIAL case consultation & evaluation. Our Valencia Personal Injury & Wrongful Death Accident Lawyers Are Here to Help You Win! For a quick and easy way to reach us 24/7, fill-out our contact us form and tell us all about your truck accident or other personal injury accident case in Valencia, CA. Our attorneys and legal experts will get back to you as soon as possible. There is NO FEE For Our Initial Consultation – it is ABSOLUTELY FREE! We also handle truck and car accident cases on a contingency fee – which means no charge until you WIN!